WELCOME! WE ARE HAPPY TO GREET YOU ON THE 2019 SEASON TRANSACTIONAL WEB SITE. For quantities of 1000+ please call. Trial variety with very good production. Vigorous growth, erect canopy with smaller leaves than Albion. Low runnering. Yield similar to Seascape. 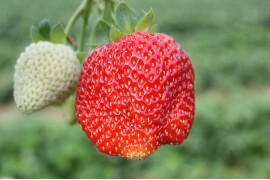 Average berry size, larger than Seascape, attractive and firm fruits. Medium red with virtually no cull. 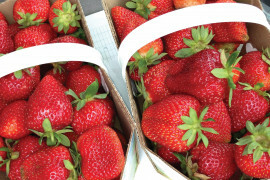 Charlotte is a French variety obtain from a cross between Mara des Bois and Cal 19, a Californian selection. This variety has very good hardiness and good productivity. 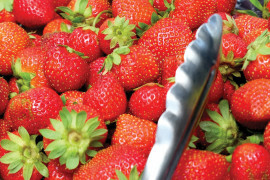 Berries are blood red, heart-shape of good size and firm with a good shelf life. This variety leaves no one indifferent with a very unique candy like taste that comes out of the ordinary. Charlotte produces highly perfumed berries, with woods and musk aromas, very low acidity and very sweet taste. Plants are vigorous and need little fertilization. Since it was introduced exclusively, Charlotte showed a better tolerance to cold, mites and powdery mildew compared to Seascape. Day neutral variety with good hardiness and good productivity. 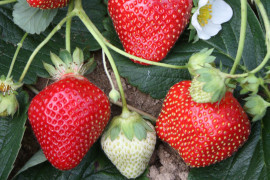 The berries have very good size, very good firmness, bright red colour with good taste. Compact growth and average runnering with good tolerance to foliar diseases. 25% more productive than Seascape with fruit quanlity similar to Albion. Variety with good hardiness and very good productivity. 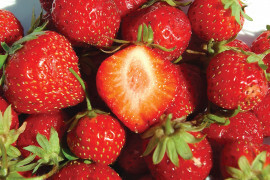 Good size fruit, good firmness and light red colour with an outstanding flavour. Variety with good hardiness and very good productivity. 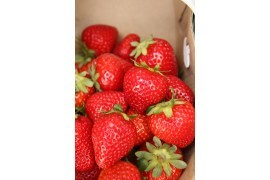 The strawberries have very good size, very good firmness, bright red colour with good flavour. Very susceptible to mildew and spider mite.